One of the largest debates about teenage access to technology is the one that surrounds cellphone usage within in the school setting. Fact remains that in today’s world children are getting their first cellular phones for the purpose of contact with family and friends and as a learning tool, and their reliance on them has become almost second nature. The problem, however, becomes an issue when school students start paying more attention to their screens than their school studies. How do educators, parents and classmates keep cell phones at par without overstepping the boundaries of constant usage? 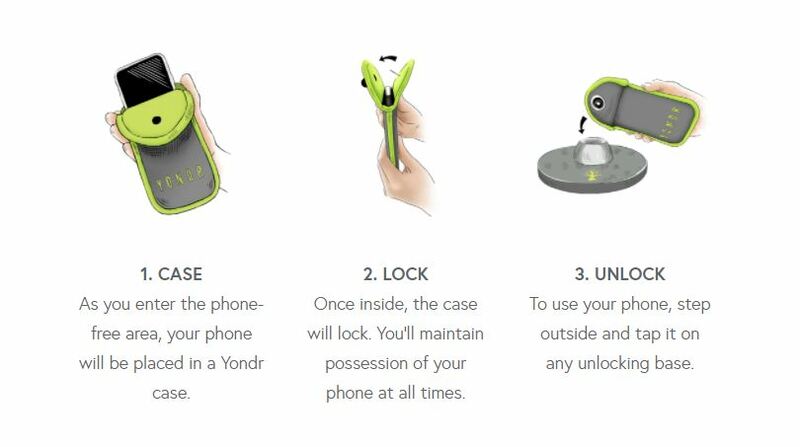 Some school boards have initiated Yondr pouches for their students – a case that locks the mobile device while in the school and can be unlocked when the student leaves. However a growing number of school boards say they’ve had more success finding ways to incorporate cellphones into schools instead of banning them out of existence. Even here in Canada one of the largest school boards reversed its 4-year ban on cellphones and now allows teachers to make their own personal rules per classroom – smartphones are permitted but limited on usage. The stats support this type of rule policy too. Researchers say these approaches work best, but they also add that it is essential to have guidelines set in place for the students. I personally come from a time where phones did not exist, let alone were used in a classroom setting – ok, I am old but that is besides the point. I do see the advantages of having them as tools and I do have children who will soon be sporting a piece of tech adhered permanently to their hands as well. For me, it’s more of a focus and interaction issue. As adults we sometimes complain that we do not engage in meaningful conversations while at the dinner table, out on a date or even while watching television as slaves to our personal devices, then why in the world would we want our children to have them as a distraction and less sociable interference within the classroom – their main environment of education? In my opinion, the real world is set up of various rules that we must abide by and if a school has the need to ban cell phones then it’s up to it’s pupils to adjust accordingly. Our proceeded generations seem to be lacking the knowledge that sometimes things just aren’t fair. Sometimes we have to do things we are not happy with and put our entitlement aside to move forward. Cell phones are not a necessity and we do not have to be ‘connected’ 24 hours a day to them. What happened to the good ol’library as a resource? Let’s bring back patience, listening and intrigue if not forever than for at least the school time hours. What do you think, should schools ban cell phones?